I am very happy to announce the final paper from my PhD has now been published! Protected area management effectiveness (PAME) evaluation is increasingly undertaken to evaluate governance, assess conservation outcomes and inform evidence-based management of protected areas (PAs). Within PAME, quantitative approaches to assess biodiversity outcomes are now emerging, where biological monitoring data are directly assessed against quantitative (numerically defined) condition categories (termed quantitative condition assessments). However, more commonly qualitative condition assessments are employed in PAME, which use descriptive condition categories and are evaluated largely with expert judgement that can be subject to a range of biases, such as linguistic uncertainty and overconfidence. Despite the benefits of increased transparency and repeatability of evaluations, quantitative condition assessments are rarely used in PAME. To understand why, we interviewed practitioners from all Australian marine protected area (MPA) networks, which have access to long-term biological monitoring data and are developing or conducting PAME evaluations. Our research revealed that there is a desire within management agencies to implement quantitative condition assessment of biodiversity outcomes in Australian MPAs. However, practitioners report many challenges in transitioning from undertaking qualitative to quantitative condition assessments of biodiversity outcomes, which are hampering progress. Challenges include a lack of agency capacity (staff numbers and money), knowledge gaps, and diminishing public and political support for PAs. We point to opportunities to target strategies that will assist agencies overcome these challenges, including new decision support tools, approaches to better finance conservation efforts, and to promote more management relevant science. Addison P.F.E., Flander L.B., Cook C.N. (2017) Towards quantitative condition assessment of biodiversity outcomes: insights from Australian marine protected areas. Journal of Environmental Management. 198, 183–191. Addison, P.F.E., Flander, L. B., Cook, C.N. (2015) Are we missing the boat? Current uses of long-term biological monitoring data in the evaluation and management of marine protected areas. Journal of Environmental Management. 149, 148–156. Addison, P.F.E, de Bie, K., Rumpff, L. (2015) Setting conservation management thresholds using a novel participatory modelling approach. Conservation Biology, 29, 1411–1422. Addison, P. F. E., Rumpff, L., Bau, S. S., Carey, J. M., Chee, Y. E., Jarrad, F., McBride, M. F., and Burgman, M. A. (2013). Practical solutions for making models indispensable in conservation decision-making. Diversity and Distributions. 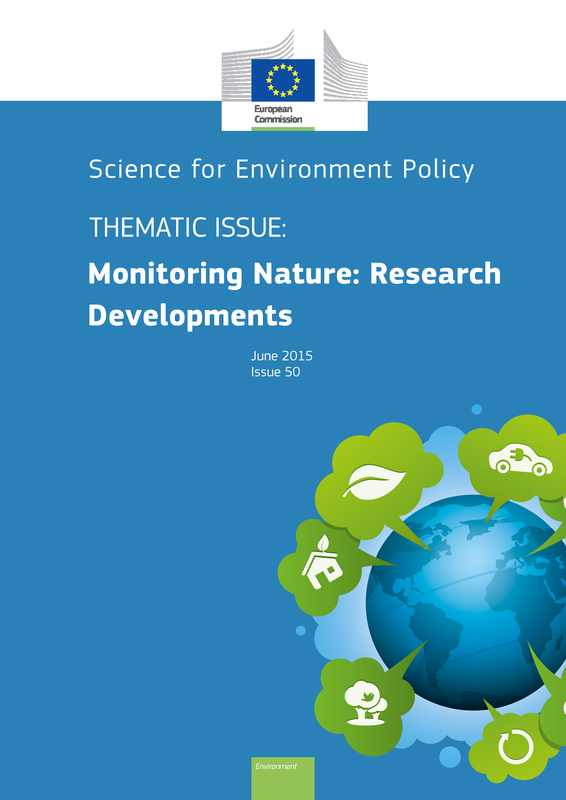 Special issue on: Perspectives and tools for conservation risk analysis. 19, 490–502. I recently wrote a blog on the ICCS research website about early career research & conservation impact. This was inspired by my current work as a NERC Knowledge Exchange fellow, my passion for working in the knowledge exchange space and applying conservation science to achieve real impact. In my blog I point out some handy online resources that will help early career researchers get started on their own pathway to research impact. You can read the full blog here. Decision triggers represent a point or zone in the status of a monitored variable indicating when management intervention is required to address undesirable ecosystem changes (Figure 1). Decision triggers have received increasing attention from the scientific community, who have suggested that they facilitate more proactive and transparent management of ecosystems (see our paper in Biological Conservation for these academic perspectives). From a management perspective, decision triggers offer conservation practitioners greater clarity about when and where to intervene in a system. However, there has been little consideration of whether practitioners in management organisations support the adoption of, or even use of decision triggers in practice. 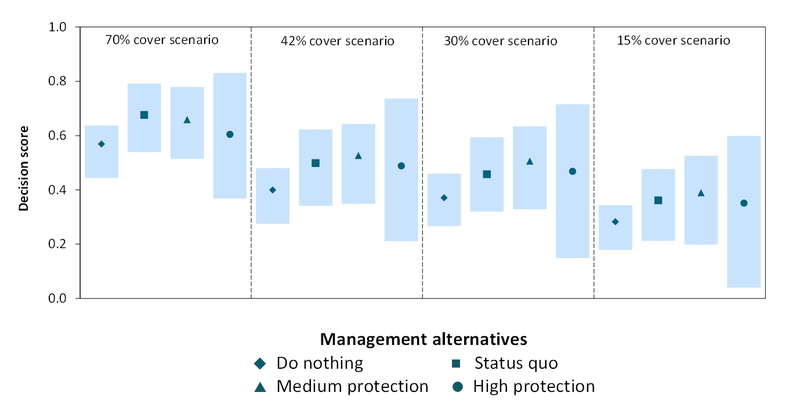 In our recent paper in the Journal of Applied Ecology, we share the perspectives of conservation practitioners from protected area management organisations in Australia and New Zealand, on the progress towards using of decision triggers for protected area management. It turns out that there are a wide range of organisational motivations for developing and using decision triggers, which go well beyond the desire to prevent negative conservation outcomes (Figure 2). Other important motivations for developing and using decision triggers include: supporting decision-making by providing clarity about when and how to act, improving transparency of organizational decisions, removing the need for guess work, and guarding against the paralysing effects of uncertainty. Figure 2: The motivations for organisations developing and using decision triggers, ordered from most to least frequently cited by the Australian and New Zealand organisations. Support for a decision triggers approach has manifested as ad hoc examples, but only for well-understood threats or controversial management issues. For example, to manage significant threats to biodiversity (e.g., fire or invasive species management), setting quotas for harvesting or controlling native species, and determining when to remove threatened populations from the wild. The practitioners in our study shared their views on the operational barriers (issues within the organisations) and scientific knowledge gaps (lack of knowledge or techniques) impeding the development and implementation of decision triggers. Practitioners revealed that most organisations are facing similar challenges (e.g., insufficient resources and the lack of a process and methods for developing decision triggers across different contexts), which is hampering the routine use of decision triggers. Gaps in our scientific understanding were also seen as a major issue impeding the adoption of decision trigger (e.g., uncertainties around ecological processes, and a lack of targeted, robust and reliable baseline monitoring data). Practitioners are keen to adopt decision triggers as part of routine management for a range of threats, species and ecosystems. However, integrating decision triggers into day-to-day management requires methods that can be widely applied. Practitioners were very clear that they would appreciate support from the academic community to overcome the barriers they face. Practitioners are calling for an overarching process and supporting methods to develop decision triggers. A key recommendation from our study is that guidance on how to develop decision triggers is required. An essential element of any guidance will be flexibility, such that decision triggers can be developed for different management contexts, rather than prescribing a one-size-fits-all approach. In fact, we believe that many critical steps needed for developing decision triggers already exist in most evidence-based management frameworks already used by conservation organisations. You can read about our full set of recommendations here. Achieving the potential of decision triggers to support evidence-based conservation will require collaboration between conservation practitioners and scientists to demonstrate a flexible approach that can be applied within existing evidence-based management frameworks across different management contexts. We are currently developing detailed guidance to provide practitioners with a clear understanding of how to integrate decision triggers within their organisations’ frameworks. This approach will be tested through a series of case studies to illustrate how decision triggers can be applied to managing species, ecosystems and threatening processes. If you would like to find out more about our upcoming research, please contact Carly Cook. This blog post was written by Prue Addison, Kelly de Bie, and Carly Cook. Management thresholds are a useful tool to inform decision-makers when management intervention is required to address undesirable environmental changes. These tools have had widespread application in natural resource management like fisheries and water quality management, but less so in conservation. My colleagues, Kelly de Bie and Libby Rumpff, and I found ourselves in need of an approach to develop conservation management thresholds for the following situation, where management thresholds: (1) must be set for environmental indicators in the face of multiple competing objectives; (2) need to incorporate scientific understanding and value judgments; and, (3) involve participants in the process with limited modelling experience. As no approaches existed to address our situation, we devised a new participatory modelling approach for setting management thresholds. The approach that we devised follows the steps of structured decision-making, which is very useful in supporting multi-objective conservation decision-making. Structured decision-making also enables the incorporation of scientific knowledge and value judgments into decision-making, and promotes the involvement of decision makers, stakeholders, and experts (collectively participants) in the decision-making process. 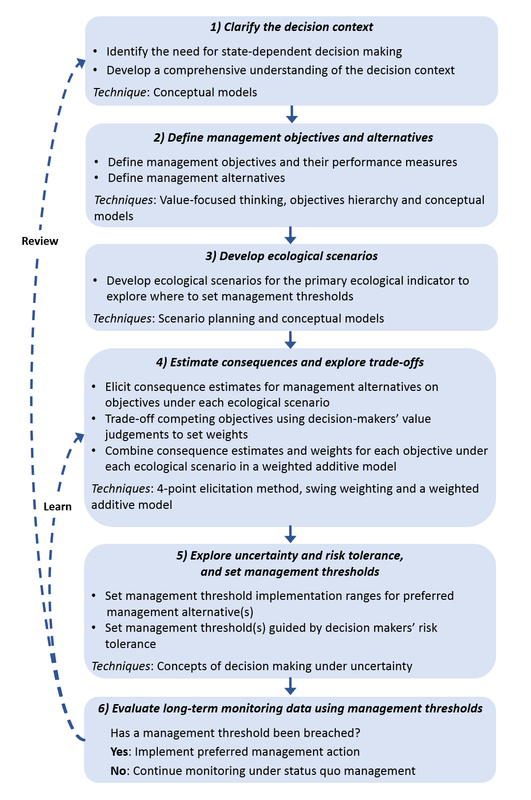 Our approach draws on a unique combination of modelling techniques within each step of structured decision-making, which have not been used to set conservation management thresholds to date (Figure 1). Figure 1. The steps of the participatory modelling process and recommended techniques to set management thresholds. In our recent Conservation Biology paper, we describe this participatory modelling approach to set management thresholds, and illustrate its application using a case study where management thresholds were set for a mat-forming brown alga, Hormosira banksii (Figure 2), in an Australian marine protected area. Figure 2. A rocky intertidal reef in Victoria, Australia, with a close up of the brown alga, Hormosira banksii. Participants, including management staff and scientists, were involved in a workshop to test the approach, and set management thresholds to address the threat of trampling by visitors to an intertidal rocky reef. The approach involved trading off the environmental objective, to maintain the condition of intertidal reef communities, with social and economic objectives to ensure management intervention did not ruin visitor experience and was cost-effective. Ecological scenarios, developed using scenario planning, were a key feature of this approach that provided the foundation for where to set management thresholds. 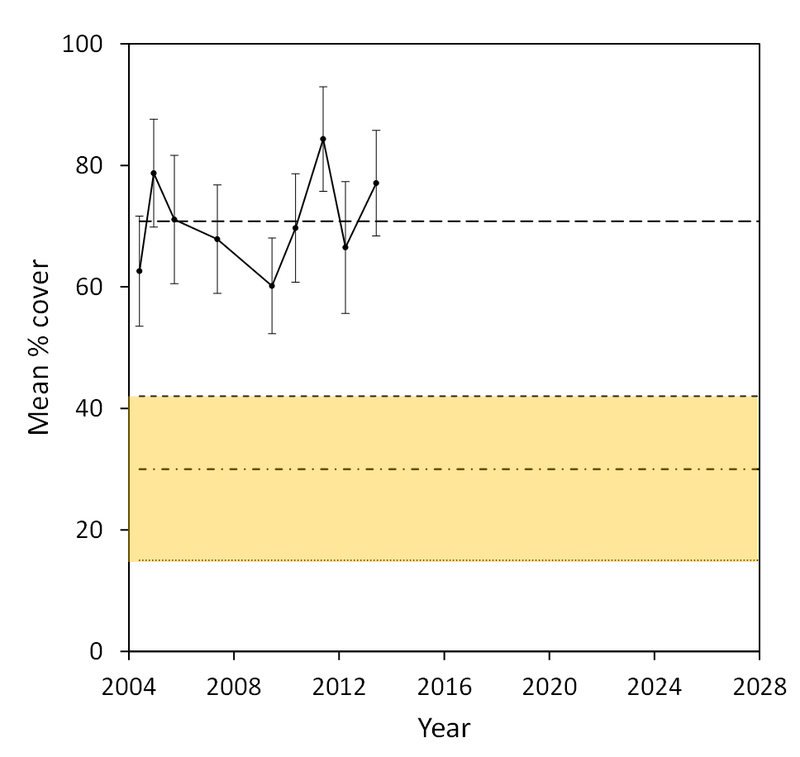 The four scenarios developed represented the current condition, and plausible declines in percent cover of H. banksii that may occur under increased threatening processes in the future (Figure 3). Figure 3. The ecological scenarios developed using scenario planning, representing the current condition (70% cover), and plausible declines in percent cover of Hormosira (42%, 30% and 15% cover) that may occur under increased threatening processes in the future. Monitoring data showing the current condition of Hormosira (solid black line: mean percentage cover [SE]) at the intertidal reef is also displayed. Participants defined four discrete management alternatives to address the threat of trampling and estimated the consequence of these alternatives on the objectives under each ecological scenario. A weighted additive model was used to aggregate participants’ consequence estimates. Model outputs (decision scores) clearly expressed uncertainty (Figure 4), which can be considered by decision- makers and used to inform where to set management thresholds (Figure 5). Figure 4. The performance of the 4 management alternatives under the ecological scenarios representing the current condition (70% cover) and 3 plausible states of reduced cover of Hormosira (42%, 30%, and 15% cover). Figure 4. The medium protection management threshold implementation range (amber shading) for Hormosira informed by decision scores in Figure 3. 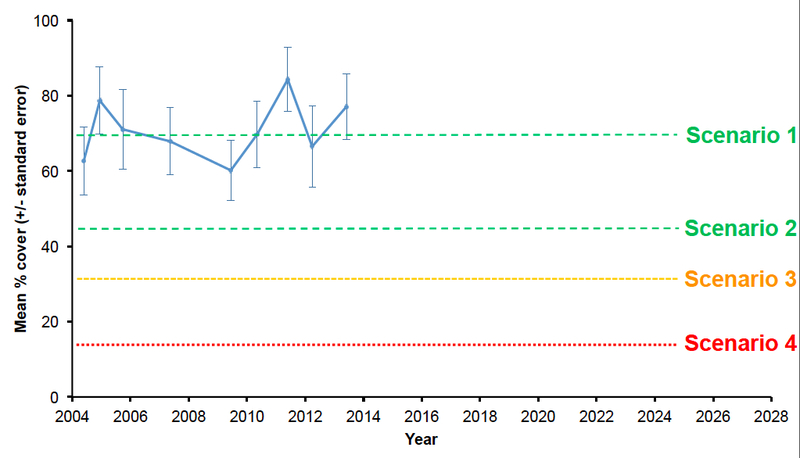 The current condition of Hormosira (solid black line: mean percentage cover [SE]) at the intertidal reef is shown from 2004 to 2013, and the ecological scenarios are represented by the four horizontal lines (as presented in Figure 2). Why set conservation management thresholds? Setting management thresholds remains a challenging task in conservation. We believe this novel participatory modelling approach provides an accessible and effective method to set conservation management thresholds. One single approach to setting management thresholds will not be suitable for all contexts, as conservation decisions often involve different circumstances that will require different modelling approaches. We propose this participatory modelling approach as one in a toolbox of available approaches to assist with setting management thresholds. Most importantly this participatory modelling approach encourages a proactive form of conservation management, where management thresholds and associated management actions are defined a priori for ecological indictors, rather than reacting to unexpected future ecosystem changes. Want to find out more about this research? Please feel free to download our open access Conservation Biology paper. For those attending the International Congress for Conservation Biology in Marseille, France, please come along to my presentation in the Adaptive Management and Monitoring session on Tuesday 4th of August, 8.30-10.00, room Sully 1.